June 30, 2014 June 30, 2014 / Rachel C.
I can’t exactly hashtag a blog post (can I? ), but I wanted to post a few more pictures of my mani for this month’s theme for The Lacquer Legion. 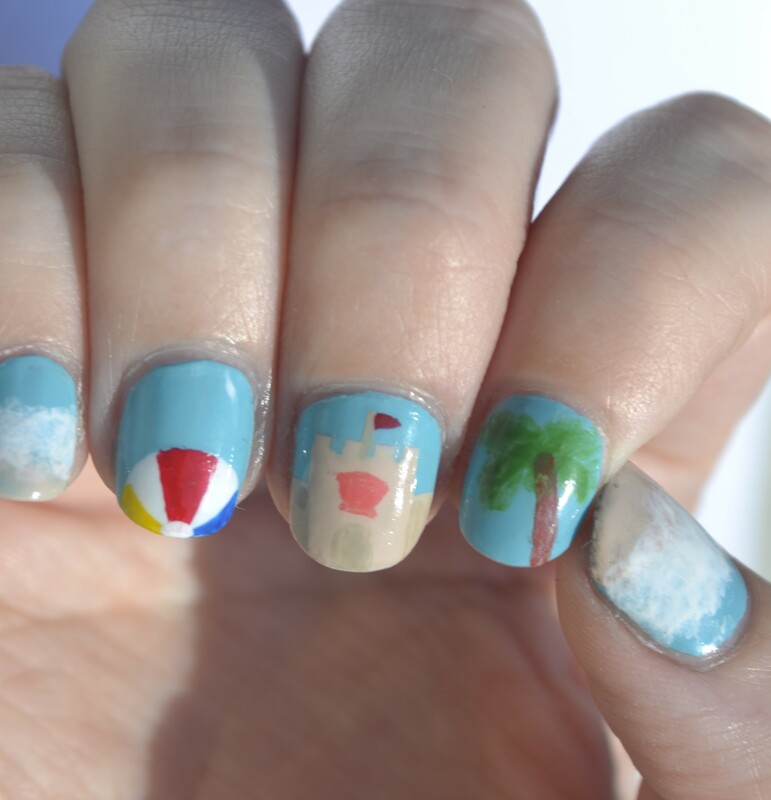 Beach nails are probably the first thing that most people think of when they think of ‘on holiday’ and I’m no exception. I live in Florida, a state surrounded by water on three sides, of course I’m going to think of the beach! But I didn’t want to be completely obvious. And so I also considered the other side of Florida vacations: amusement parks. Because I couldn’t choose between the two ideas, I did both. Maybe not what some people would think of for an ‘on holiday’ theme, but I think the combo is okay because the holidays of my childhood were always spent at either the beach or at one of the parks in Orlando. Why would we need to travel anywhere when we live an hour and a half away from the happiest place on Earth? 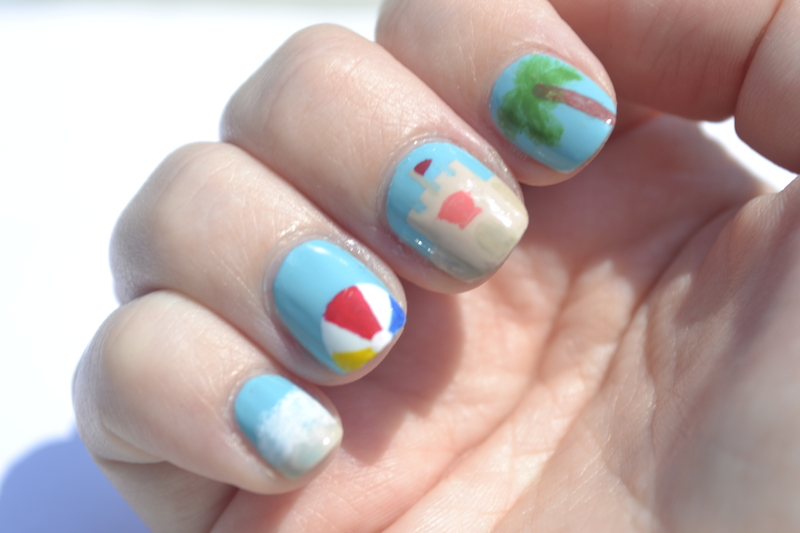 Anyway, my right hand became the beach hand and my left was Disney World and Universal Studios themed. So beach hand has a beach ball, sandcastle, a palm tree, and a couple of scenes where waves are hitting the sand. The best of the Sunshine State, right? Well, I personally hate the beach so I appreciated the Disney/Universal nails more (even though they didn’t turn out quite as good). 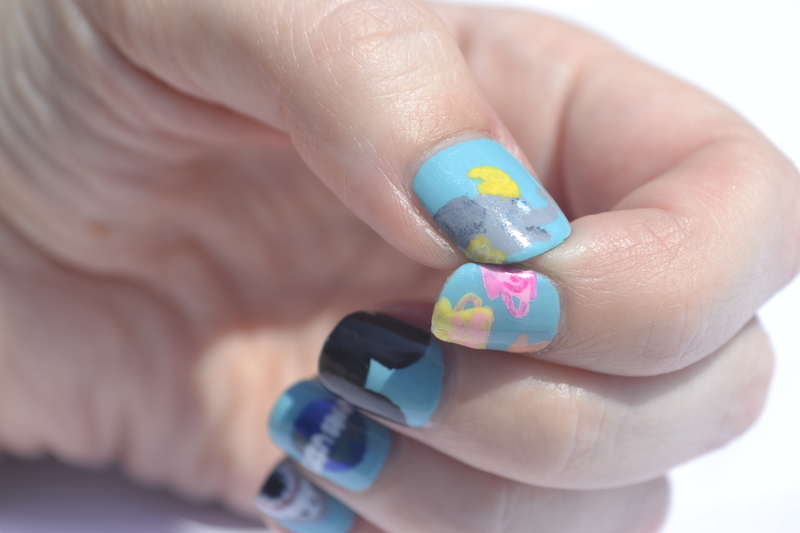 For the Disney nails, I’ve got Mickey Mouse ears, the spinning teacups from the Alice in Wonderland ride, and, on the thumb, Dumbo from the ever-so-exhilarating flying elephant ride. 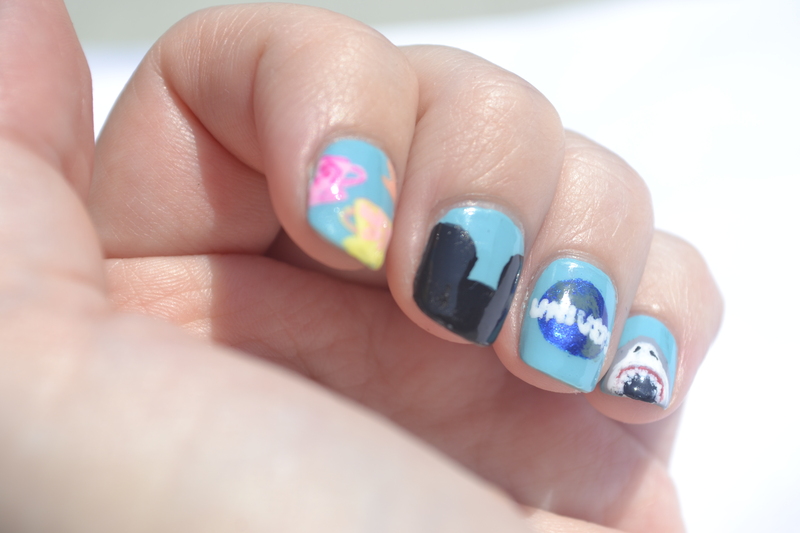 And for the Universal Studios nails I’ve got an attempt at the logo and a nod to the iconic Jaws ride.